You can top up your messaging credit instantly and easily on the Hubtel portal using mobile money. 2. Click the Top Up Now button under “Top Up”. 3. Select the amount you want to purchase and click Pay Now. 4. 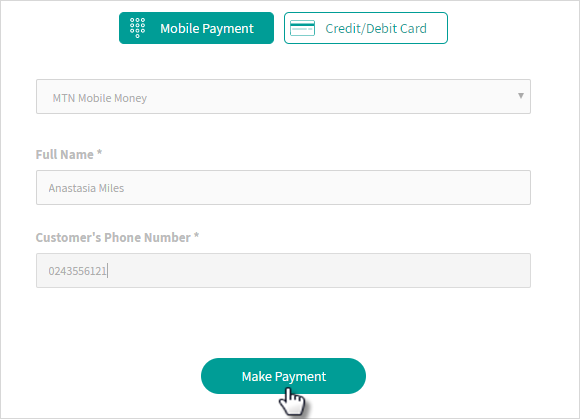 Select your mobile money provider in the drop down list. 5. Enter the required details in the form provided. 6. Click Make Payment. You will receive a payment prompt on your phone, accept the payment request to complete payment. 7. Enter your name and mobile number. 8. Dial *110# on your phone and choose option 6: Generate Voucher. 9. 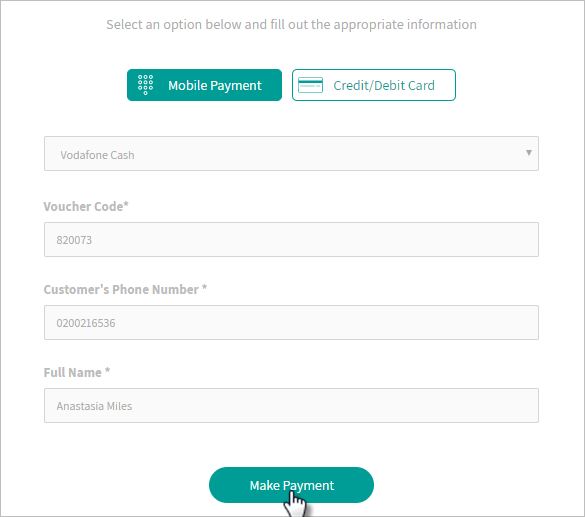 Enter the voucher number and click Make Payment to complete.